Everything you need to know about the Michigan State Spartans as they begin the NCAA tournament. The Case For: January. February. Izzo. April. Not only is Tom Izzo among the best active coaches at getting to the Big Dance—this will be the Spartans' 19th straight appearance in his tenure—he is also one of the most dangerous coaches in it. Izzo's teams have more often been to the Final Four (seven times) than they have been eliminated in the first weekend (five). And this may be his best team since the squad that won the national championship in 2000. 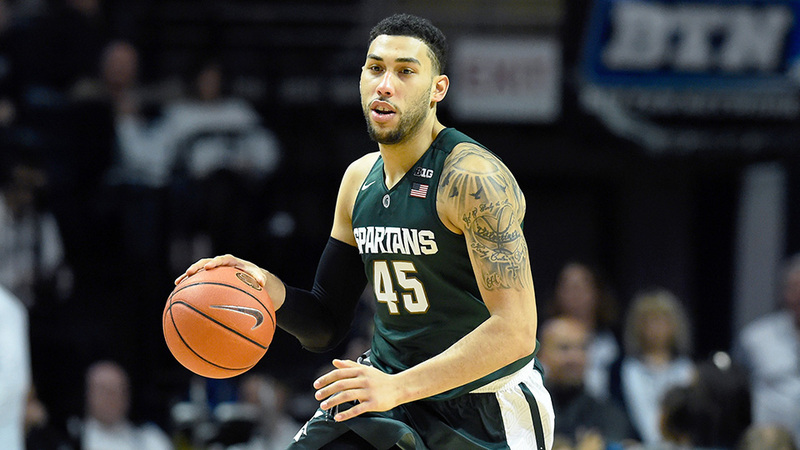 Michigan State revolves around its star and national player of the year candidate, Denzel Valentine. Valentine is the definition of do-everything: He leads the team in points and assists and is second in rebounding and three-point percentage. With a healthy Valentine, Michigan State started the season 12–0, and after they found their rhythm again upon his return, the team won 13 out of its final 14 games, including the Big Ten tournament championship against Purdue. Winning is a habit, and there probably isn't a team outside of Lawrence, Kan., more confident entering the NCAA tournament. After all, Valentine already guaranteed his team would take home the title. The Case Against: There Spartans succeeded with a small lineup last season, and they have done so again this year, but it could be a vulnerability against a lengthier team. Their tallest regular rotation players are 6'10" center Deyonta Davis and 6'9" forward Matt Costello, and their average height is 111th in the country. The Spartans' perimeter offense more than covers up for their comparatively weak post play, but if they need a bucket they haven't shown an ability to get to the free throw line for it—they're 328th in the country in FTA/FGA. Although Michigan State leans on its bench in a healthy way—it is 14th in the country in percentage of bench minutes—production outside the starting five dips dramatically. Davis scores the least points of any starter (7.4 ppg), but that is nearly double the average of the top bench contributor, sophomore forward Marvin Clark Jr. (3.9).